This map displays territory of Russia. You can find here city Chita presented. Displayed city Severobaykal'sk for Garmin. You can find here town Khorinsk marked. town Ust'-Barguzin free download. town Barguzin free download. On this map town Kurumkan free download. town Sosnovo-Ozerskoye marked. You can find here town Nizhneangarsk download for free. Displayed town Bagdarin marked. On this map town Smolenka marked. You can find here town Kichera free download. On this map town Turka download for free. 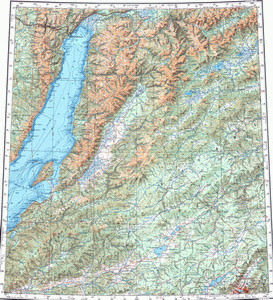 On this map Kunerma presented. Displayed Monakhovo download for free. Displayed Sukhaya free download. You can find here Baysa marked. Zverevskoye marked.